2012 is a special year for the Japanese company Capcom and Street Fighter series of fighting, as it celebrates the 25th anniversary of the first triple play of this franchise. 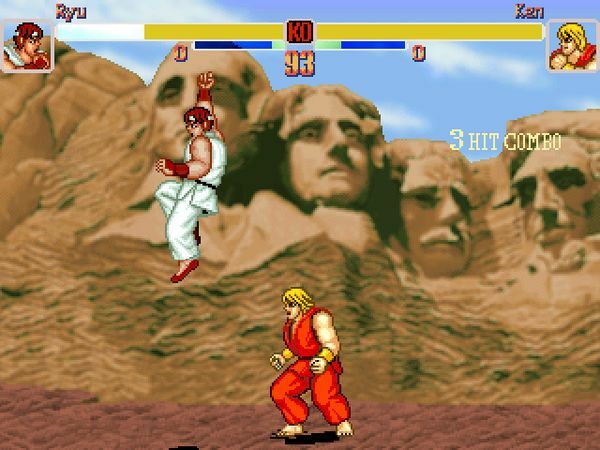 That first Street Fighter has little to do in terms of quality, which now peer through high-definition consoles, but in reality it is light years ahead of Street Fighter II, the sequel which was released in arcades back in 1991 and revolutionized the fighting game one against one, setting the stage for a huge number of similar games that came later. Although he was the first Street Fighter that gave name to the series, really were the Street Fighter II and Street Fighter II Champion Edition that swept the arcades around the world, generating queues sometimes dozens of players to play a single game. It is logical that Capcom wants to celebrate the 25th anniversary of Street Fithger and will do it by launching a special edition pack full of content, but has left us with a taste somewhat bittersweet. 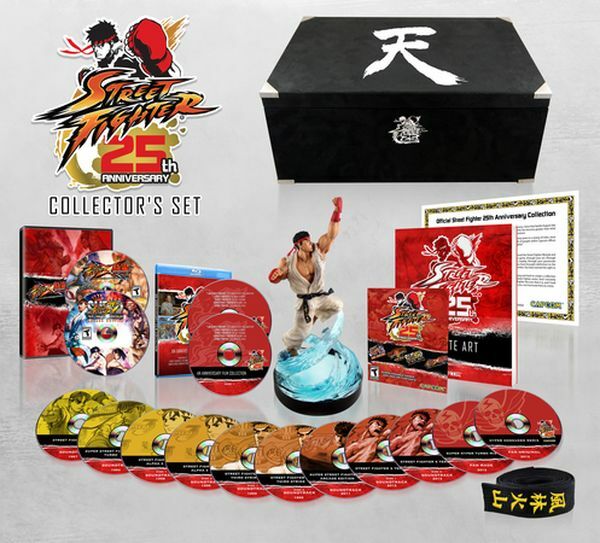 We leave you then with the full detail of what is known as Street Fighter 25th Anniversary Collector's Set. Let's take, first limited edition collector will come presented in a special box dedicated to the great Ryu. Includes four games in the franchise as: Street Fighter X Tekken, Super Street Fighter IV Arcade Edition, Street Fighter III: Third Strike Online Edition and Super Street Fighter II Turbo HD Remix. The box also includes a Ryu figure of 20 centimeters and a life-size replica of his belt in karate. All downloadable content such as hidden characters, costumes etc ... that have been released for the games above are also included. The edition is complete with a Blu-Ray documentary on the history of the series, the animated Street Fighter II and the entire series of cartoons of the mid-90's. As a bonus, it also includes a whopping 11 discs containing all the soundtrack of the franchise, with tracks produced by fans and an art book of 64 pages. To provide more value to the collection include the appropriate certificate of authenticity with the numbering of the edition. It's bittersweet that we mentioned above is that it seems very unwise, that in the case of an edition to commemorate the 25th anniversary of Street Fighter, has not included the original game, nor Street Fighter II, a title that catapulted the franchise to worldwide fame. If I understand this package is clearly aimed at fans of Street Figher, I doubt there are many fans of Ryu, Ken and company that they miss these two games. Next Friday, opens in theaters the third installment of the series Men in Black, starring Will Smith, Josh Brolin and Tommy Lee Jones, which completes a trilogy that began 15 years ago. Its plot revolves around a corporate super-secret special agents, dedicated to ensuring the security of the world at bay and keeping secret the aliens that roam the planet. 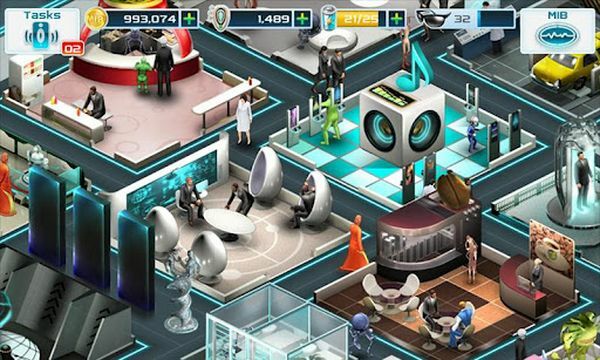 Before the tape is released, the company Gameloft has already released the official video game of Men in Black 3 mobile phone and best of all, you can download completely free in versions for iPhone and Android . This time there will be a game in which we use to crush aliens left and right, playing the veteran agent J or agent K, since in this adventure charges us with the address of any agency of Men in Black. Taking control of the best agents, we have to fight to prevent the new threat that hangs over the human race. To achieve this we have at our disposal some of the most technologically advanced weapons and secret world. Then we leave the direct link to the bazaar of Android applications and AppStore where you can download this Men in Black 3. To avoid disaster, we must set our own agency from scratch Men in Back. This will require training to our agents, so just be prepared when you go to the most dangerous missions. The arsenal available is very varied and include such powerful weapons as the neutralizer, the famous cricket desaromizador and noisy, all previously seen in the movies Men in Black. The research and development, as in any strategy game that boasts , will be very important in this Men in Black 3, as we gradually increase the halls of the agency, thereby enhancing the power of our weapons. The film which opens next Friday is the main base time travel, as its story line will range between 1969 and 2012. The same will happen in the game Men in Black 3, because we have to defeat enemies in both the 60 and present, traveling by the most emblematic areas of the city of New York and Brooklyn, Times Square or Central Park. Like the weapons and characters, the game's enemies are also inspired by Men in Black universe, so it is not uncommon to recognize the odd slimy alien. 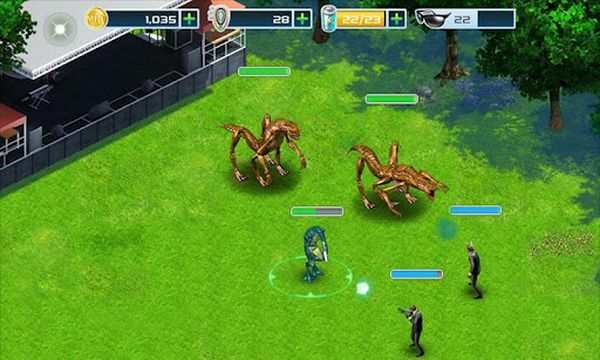 Men in Black 3 offers a multiplayer mode, in which our friends will join us to help in the fight against the aliens, or we can be the ones we visit their bases, giving rewards for them a hand. If you like Men in Black and you want to go crushing some aliens before the premiere of the third part of the series, we leave you with direct links in Google Play and the App Store where rotten free download.